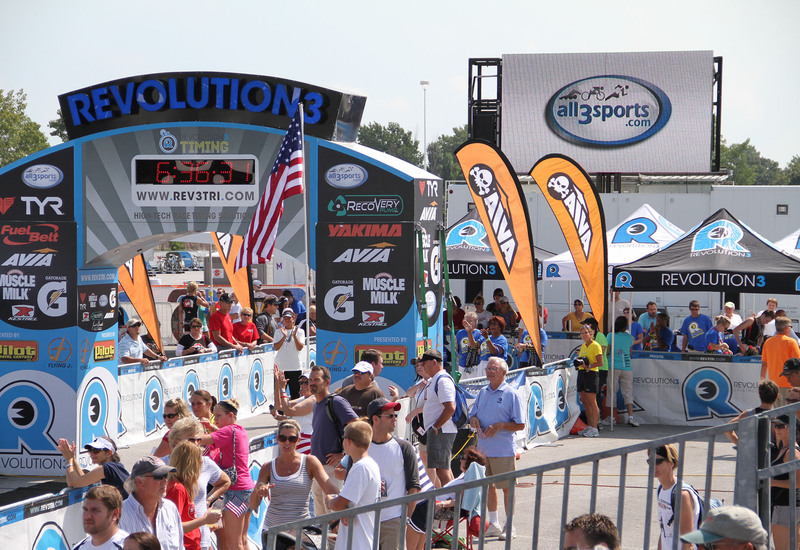 Rev3 organizers wanted to create a world-class professional series that appealed to the casual triathlete. 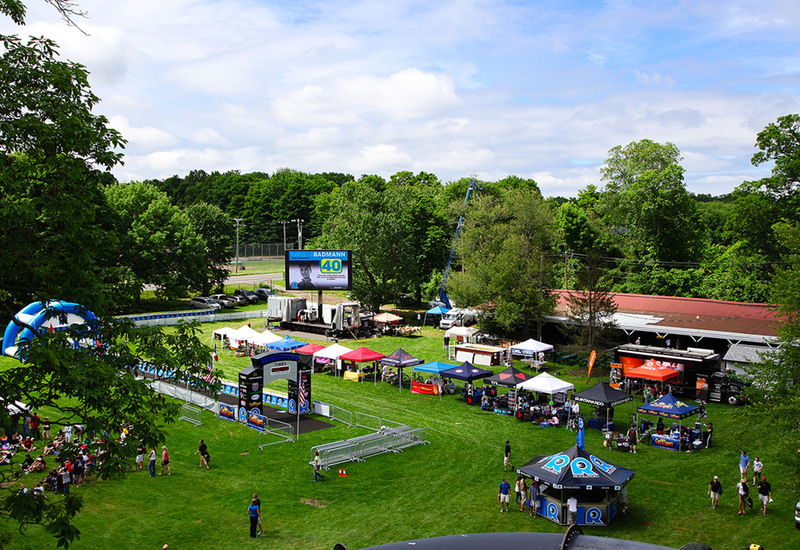 The finish line area was designed more like to resemble a festival, and crafted to entertain the families and friends of competing athletes. 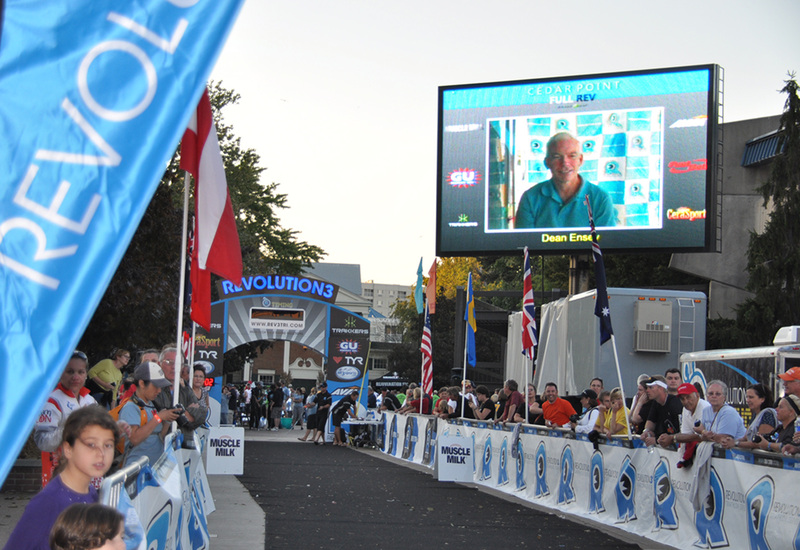 Upstage Video's mobile screens gave fans a LIVE look at the race, in real time and displayed participant information and finish times as they crossed the finish line. Upstage Video was tasked with producing the entire broadcast, and provided multiple cameras around the starting line, transition, and finish areas. Most significantly, we covered the lead packs (both women and men), each with their own wireless Moto motorcycle signal that was bounced back to our production truck via helicopters. The two helicopters also provided aerial camera views, which were sent back to our truck from upwards of 15 miles away. Additionally, we provided small announcement audio PA systems for the starting, transition, and finish line areas.